Fentanyl is a synthetic opioid so potent that a miniscule amount equivalent to several grains of saltcan cause afataloverdose. Yet it's difficult for people who use drugs to detect, which presents a major public health hazard given how commonly fentanyl is used to lace heroin or cocaine. In 2017, a team of researchers led by Brandon Marshall, an associate professor of epidemiology at Brown University's School of Public Health, provided rapid-acting fentanyl test strips to young adults in Rhode Island at risk of overdosing. In October 2018, the researchers reported that most of the young adults not only used the strips, but also reported changing their behavior to reduce overdose risk if they detected fentanyl. The research team has now analyzed the results from in-depth interviews with the same study participants to learn more about their reasons for using or not using the fentanyl test strips. The new findings were published on Jan. 8 in Harm Reduction Journal. "Qualitative interviews allow us to explore the thoughts and feelings of our research participants," said Jacqueline Goldman, an epidemiology master's student and first author on the study. "When researching the fentanyl test strips, we wanted to understand why participants did or did not use them. 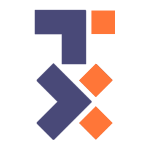 We used these interviews to examine the complex opinions and motivations that our participants experienced." During the first stage of the study, each participant received 10 fentanyl test strips, which work like an over-the-counter pregnancy test. A single-use strip is dipped into water containing a bit of drug residue (before drug use) or urine (after drug use) and either one or two red lines quickly appear—one line means the liquid contains fentanyl, and two lines means the test did not detect the drug. The strips cost about $1 each and are beginning to be distributed by harm reduction organizations in the United States. All participants also received overdose prevention education and a naloxone kit—which can rapidly reverse an opioid overdose—to take home. Two to four weeks later, 81 of the original 93 participants returned and completed a brief survey and a 10- to 20-minute-long interview in which trained research assistants asked numerous open-ended questions. (1) Participants used the fentanyl test strips as a tool to test suspicious drug supplies. Generally, the participants found the test strips easy to use and said they were especially valuable for testing drugs from sources they did not trust. A 23-year-old male participant said: "I contacted a local dealer of mine that I had gone to in the past... I was like questionable of his product, so I told him that I had these strips and that I was going to test, to test his stuff for fentanyl to see if it was good or not and showed him the positive result... With those tests, I was able to do that with a couple other dealers between now and then to root out my chances of getting a tainted product." (2) Testing drug reside was more convenient than testing urine. 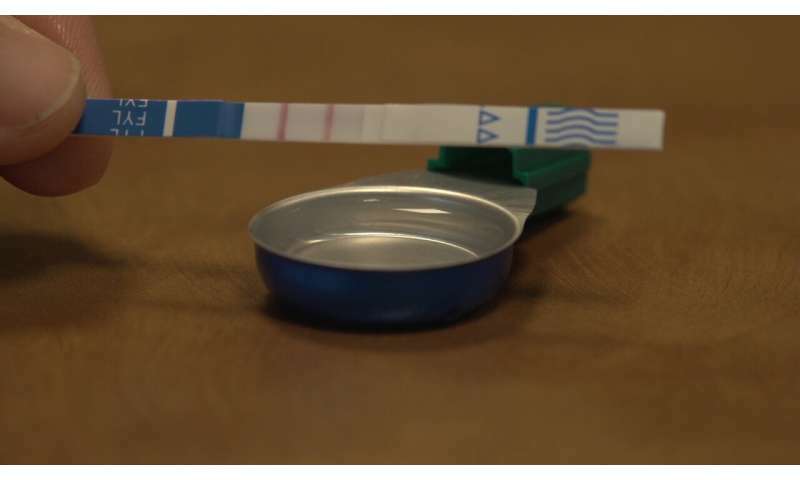 The first 40 participants were instructed to use the strips to test their urine after drug use. Then a study from the Johns Hopkins Bloomberg School of Public Health found that the test strips were effective at off-label testing of drug residue from bags, spoons or crushed pills dissolved in water. The participants enrolled in Brown's study after these findings were reported were trained to test their drug residue before using. Interviews found the participants from the first group expressed an interest in being able to test their drugs before using them. "If there was a like test strip you know that you could mix a bit of your heroin, or what you think is heroin in water and dip the strip in it, and something like that... to be able to test it before you use it... Afterwards it could be too late, you know," said a 22-year-old male participant from the first group. (3) Participants gave test strips to friends, family members and acquaintances they perceived as having a high overdose risk. Nearly half of the participants reported giving fentanyl test strips to friends, family members and acquaintances in the previously published survey results. The researchers found the participants tended to give the strips to people they perceived as having a higher risk of using a drug contaminated with fentanyl. "They were not just close friends, but a couple of people I met at the [methadone]clinic and stuff, and they actually were people who really want to know if the fentanyl is actually in the drugs they are using, and they actually use a little bit more than I do. On a daily basis they still use, so I felt like it was very important to have," a 28-year-old female participant said. (4) Participants preferred testing their drugs in private, due to perceived stigma or legal concerns. Though the participants found the test strips easy to use, they preferred to use them at home rather than go to a local health organization to get their drugs tested—a common service offered at supervised injection facilities in Canada and parts of Europe. Their concerns were two-fold: being judged or facing legal ramifications. "Just because it's more private, it's in my house, I wouldn't have to risk getting caught by the police bringing it somewhere. I would just, I don't know, I would never bring it somewhere to get it tested honestly, never," a 25-year-old female participant said. (5) The presence of fentanyl led to self-reported behavior changes. In the previously published survey results, 45 percent of participants who detected fentanyl using the test strips reported using smaller amounts, 42 percent proceeded more slowly when using, and 39 percent used with someone else present. The qualitative interviews found similar changes in behavior to reduce the risk of an overdose. "A friend of mine was shooting up and before they did that I said let me test it, so I grabbed the cap after they used it and I tested it, and it was positive for fentanyl. And they asked me what exactly fentanyl does, and I said it's way stronger than your heroin and it has the potential to kill you with a drop. And they were like 'what am I supposed to do' I said, honestly, you shouldn't take that, but I know you're going to, so take it in portions... instead of putting the whole .4 to the face, they would do .1 at a time, and, you know, with a little bit of time in between... each one," a 21-year-old male participant said. Another participant talked her cousin into disposing of a significant amount of fentanyl-contaminated heroin. "I used one for myself, and then, the other nine I gave to my cousin who is a drug dealer... and I told him to give me nine samples of his dope, and I followed the video that I watched... And out of the nine that came back, seven were positive for fentanyl. So, I told him, you either have seven murder charges on your record, and you have the rest of your life in prison, you don't get to see your kids get married, graduate. Kinda give him a little guilt trip on it, but I convinced him to flush it. He had almost $2,000 worth of fentanyl-laced heroin and he got rid of it," the 26-year-old female participant said. The researchers said that the interviews support other studies indicating that fentanyl test strips are a feasible and acceptable tool to reduce the harm of fentanyl overdoses. "These results further underscore the benefits of fentanyl testing programs to reduce the risk of overdose from drugs contaminated with fentanyl," Marshall said. "We are grateful to our study participants for sharing their perspectives on fentanyl test strips, which were overwhelmingly positive." Yes, lets continue to enable and encourage junkies to stay on drugs by making it safer. We have narcam everywhere so they dont have to worry about overdosing, now lets give them test strips to make it even safer. Why get clean when its safer than ever to be a junkie addict! The only reason we have fentanyl problem is because the government strongarming doctors into writing less perscriptions for painkillers. Now we have drug dealers making their own opioid pills with fentanyl and thats killing people. You want to save lives, stop the war on doctors.